It’s never been a better time to think about dental implants. At Select Smiles we are proud to offer a long-lasting alternative to removable dentures and bridges that can last a lifetime. We’d like to finish off your new look with a brighter smile! 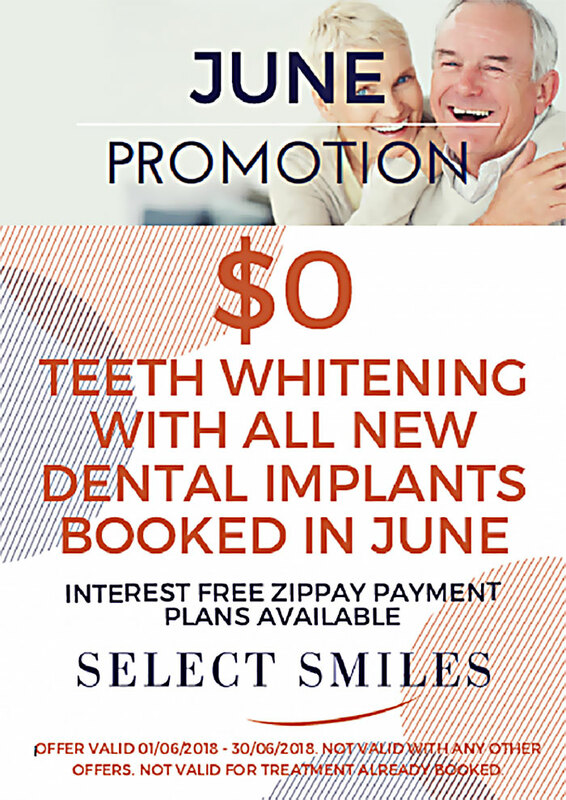 Our June offer is free teeth whitening when you book dental implants this month. In one visit you can achieve up to 8 shades whiter. We use Philips ZOOM! and it’s usually RRP $595!